President Mahmoud Ahmadinejad said Iran is working on a three-stage rocket to carry a satellite 1,000 kilometres (more than 600 miles) into space, Fars news agency reported on Thursday. "The country's scientists are working on a three-stage rocket that will take us to 1,000 kilometres," the agency quoted Ahmadinejad as saying to a local television in the western city of Hamedan on Wednesday. "Last time, we sent a satellite to 250 kilometres... Next year it will be sent to 700 kilometres, and the year after that to 1,000 kilometres," he said. In February 2009, Iran launched its first home-built satellite, named Omid (Hope), into orbit to coincide with the 30th anniversary of the 1979 Islamic revolution. The launch raised fresh concerns among world powers already at odds with Tehran over its nuclear drive. "The rocket that we used for the first satellite had an engine thrust of 32 tonnes at the time of launch, but the rocket that we are building will have the thrust of 120 or 140 tonnes," Ahmadinejad said. Western countries suspect Iran is secretly trying to build a nuclear weapons capability and fear the technology used to launch the space rocket could be diverted into development of long-range ballistic missiles capable of carrying nuclear warheads. Tehran strongly denies the charges, saying its nuclear programme is for peaceful purposes and that it has the right to the technology already in the hands of many other nations, including its archfoe the United States. 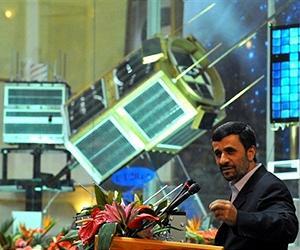 Ahmadinejad also disclosed details about another satellite, which he said would be launched in the "near future." "We plan to launch an experimental telecommunication satellite with a lifetime of one year," he said. 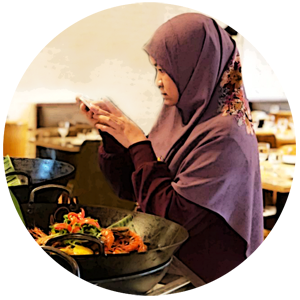 Telecommunication Minister Reza Taghipour had said in July that a home-built satellite, Rasad 1, was being readied for launch for the last week of August, without giving other details. Ahmadinejad also announced that Iran had plans to put telecommunication satellites in the 35,000-kilometre (about 22,000 miles) orbit -- where geostationary satellites are placed -- within "five or six years," Fars reported. In July, Ahmadinejad said the country planned to send a man into space by 2019 as a blow to Western powers pressing Tehran over its continued uranium enrichment work in defiance of UN Security Council demands. "Iran was due to send a man into space by 2024 but in response to threats and Security Council resolutions against Iran, the plan was pushed forward by five years and the project will be launched in 2019," he said. The hardline president has made scientific development one of the main themes of his presidency, asserting that Iran has reached a peak of progress despite international sanctions and no longer needs help from foreign states. He has also rejected that the ambitious space programme has military goals. In February 2010, Iran launched a home-built rocket carrying live animals -- a rat, turtles and worm -- in a capsule, marking the country's first experiment in sending living creatures into space. It also unveiled another home-built rocket designed to carry satellites, dubbed Simorgh (Phoenix) equipped to carry a 100-kilogram (220-pound) satellite 500 kilometres (310 miles) into orbit. Defence Minister Ahmad Vahidi said then a refinement of the Simorgh design would allow satellites to be placed in a 1,000-kilometre (more than 600 miles) orbit. The 27-metre (90 foot) tall multi-stage rocket weighs 85 tonnes and its liquid fuel propulsion system has a thrust of up to 100 tonnes.